The Zoroastrian Association of Quebec , the first association to be established in North America in 1967 had many defining moment s which were precursors to the founding of the Federation of Zoroastrian Associations of North America . (FEZANA). 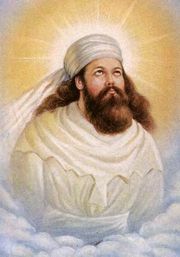 The Mission of the Zoroastrian Association of Quebec is to perpetuate the religion of Asho Zarathushtra among the Zarathushtis of Quebec and to others who may wish to learn the teachings of Prophet Zarathushtra, and the scriptures , and to facilitate the performance of all religious ceremonies and the celebration of Zarathushti feasts. Copyright © 2017 Zoroastrian Association of Quebec. All Rights Reserved.